National Health IT Week was created to raise awareness of how information technology (IT) helps improve health care delivery in America. This annual celebration is a time to reflect on the progress that has been made and to showcase how advances in health IT improve patient outcomes and quality of care. While most articles are likely to discuss far-reaching, well known health IT like electronic health record (EHR) systems, there are many behind-the-scenes technologies that quietly impact how healthcare is delivered. Let’s spotlight these advances as well. For example, health IT is used behind the scenes to streamline surgery coordination and communication. This technology is replacing manual processes like fax, phone and text and bringing surgery coordination online using a central cloud-based hub. Proactively alerting everyone involved in a case — including physician office staff, nurses, surgeons, anesthesiologists and vendor reps — each time a change or request is made ensures nothing is overlooked. So how does this technology impact outcomes and quality of care? When miscommunication occurs, errors happen. With all case-related information in one central location, avoidable errors such as wrong-site surgery resulting from missed documentation or data entry errors are greatly reduced. If a patient has special medical needs, everyone is aware. Because everyone looks at information from the same a source, identical content is seen by each person, which again leads to fewer errors. Sending proactive alerts through the system to everyone involved in a case ensures no change is overlooked. The intent of surgery coordination systems is to streamline case coordination and communication from the time it is determined a patient requires surgery all the way through post-op discharge. As is typically the case with health IT, this technology can be leveraged for purposes beyond what it is intended. For example, in the event of a massive power outage, flooding, earth quake or snow storms, this technology can be used to retrieve patient demographic information when traditional methods fail. Utilizing mobile devices, staff can log onto the system regardless of location. This eliminates the need to travel when conditions are less than desirable, or even dangerous. If needed, staff can contact patients from a safe location to update them along the way if there are changes with their case. Health IT advances, like digital surgery boards, enable key people to follow the care process from check-in to discharge with decreased distractions from overhead pages and inter-department phone calls. These boards provide staff with a quick view of patient status and other relevant case information. The benefits of these boards extend beyond hospital and surgery center staff to the waiting room. Patient satisfaction plays an important role in quality of care. Health IT can ease a patient’s nerves about an upcoming surgery when loved ones waiting can see where the patient is at every step of the procedure. With message boards in place, immediately after a patient checks in, family members can see where they are in real-time. If a doctor is running late, they can look at the board and have peace of mind when delays occur. To maintain HIPAA compliance and patient privacy, case ID numbers are assigned to each patient. Colored alerts let loved ones know when it is time to go back to post-op to see the patient (or text alerts can be sent if they wish to leave for a cup of coffee). 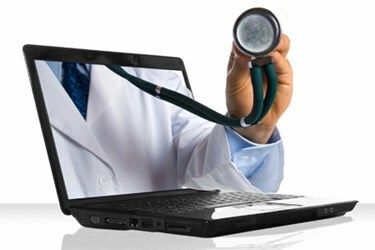 There are many new and exciting technologies available to healthcare providers. These health IT systems successfully streamline processes, increasing patient safety and improving how care is delivered across the country. Yet often these technologies are not widely known simply because they sit behind the scenes. National Health IT Week provides a unique opportunity to showcase these lesser-known, yet highly impactful technologies.